At times, moving out to another state may feel like you are relocating to another country altogether. Just the very thought of organizing and executing an out-of-state move can give you the chills. With lots of things that you should do before you move to a new state, it is not surprising that most of the home movers become worried with regards to whether or not they can manage the period of preparation on their own, and survive the actual relocation. In line with this, good planning will help you to remain on the right track to get you prepared on everything you need to know about long-distance moving out of Charlotte North Carolina. As soon as you learn about up and coming relocation is when you are find yourself in need of a detailed checklist to keep yourself organized during the moving period. Relocating out of state means more work and some sacrifices along the way to bring the relocation adventure to a successful end. Set your budget for moving. It is also important to secure a job before moving unless otherwise, your reason for moving to a new state is because of job offer from the beginning. You should consider researching the housing costs, career opportunities, and cost of living in the state where you are moving, and specifically in your new city. Research on the movers in Charlotte and their reviews online, ask family, neighbors, friends, and coworkers for good recommendations. As soon as you have chosen your relocation partner, it is time for you to start working on the tasks in your prioritized and personalized moving calendar. 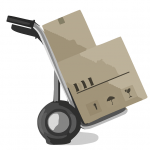 Learn how to pack up your belongings. Get to the post office and have your postal addressed before the day of moving, so that you will continue to receive mail. Speak with your children regarding the upcoming house move and about how it will impact their foreseeable future. Get down to the packaging job immediately. The packing job is the most time consuming and arduous one in your personal packing timeline. These are the important things to take note when planning to move out of state, and the most important thing is to hire a reliable relocation company in Charlotte before your moving day.